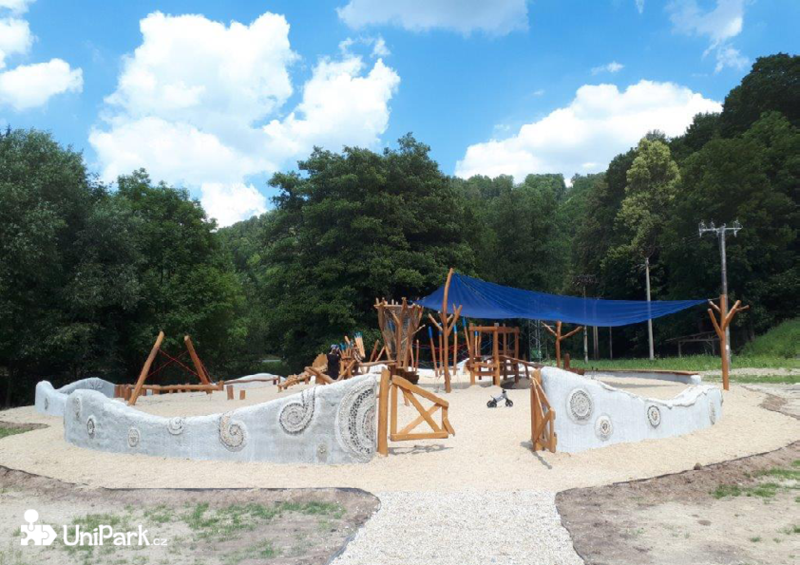 Dragon playground - phase I. 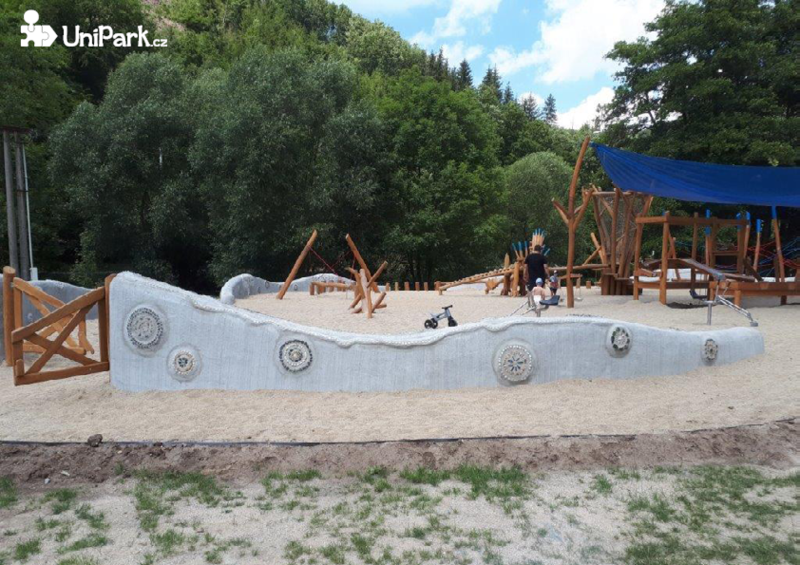 The outdoor children's area was designed for the adventure and hotel complex Park Sport Hrubá voda. 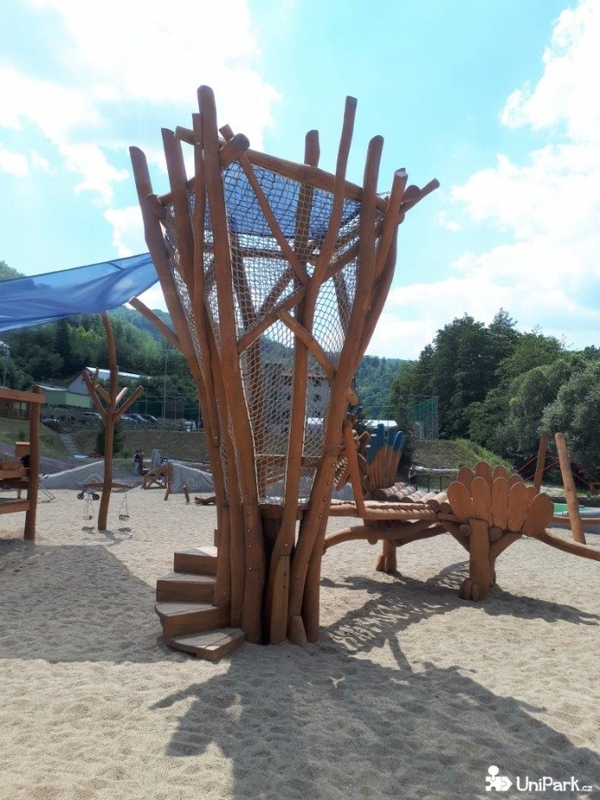 Though the place is limited by river bank on one side and a protective zone of power lines on the other side, we have managed to create a spacious area for playing, fun and children development. 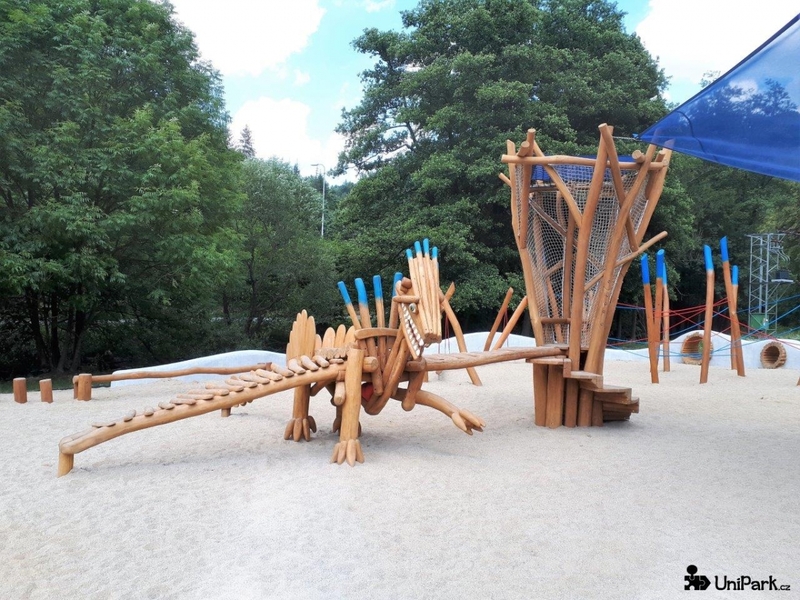 The main feature that gave the name of the playground itself is a jungle gym looking like a dragon. 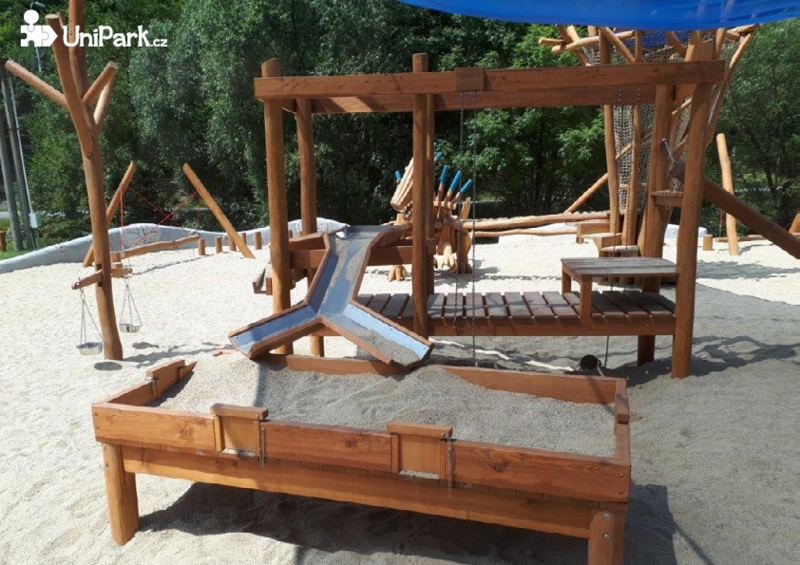 The other part is a trail of balance blocks and suspended beams, tree hideouts and low rope climbing. We've also created lots of smaller and interactive gaming features such as sifters, scales, mills, troughs and diggers. 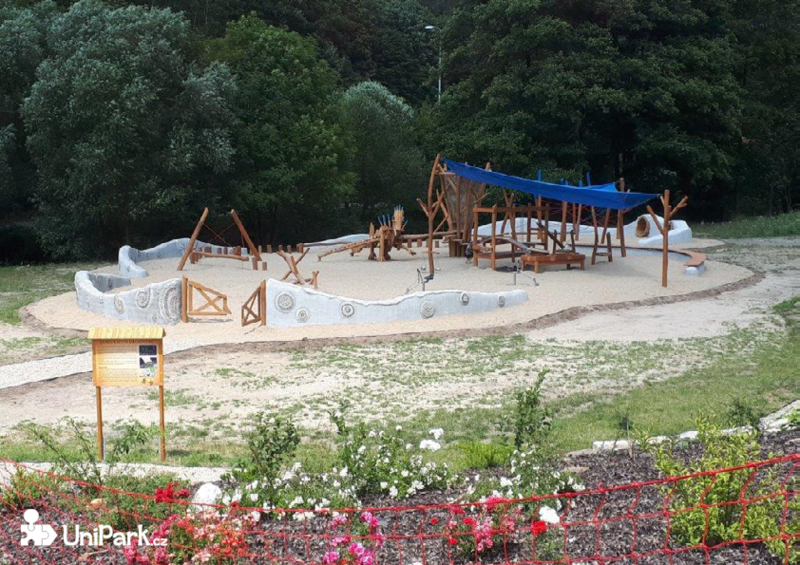 The entire playing area functions as one large sandbox which also dispose of safety surface layers. 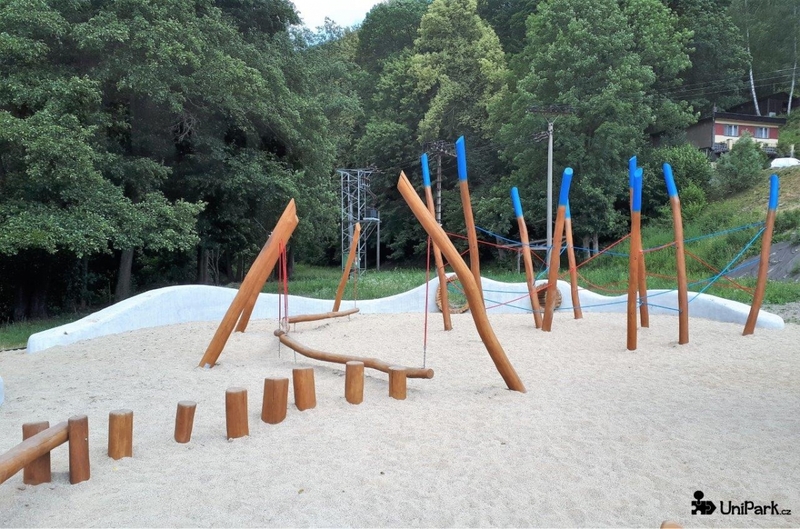 There are concrete roots to define the sand playground. 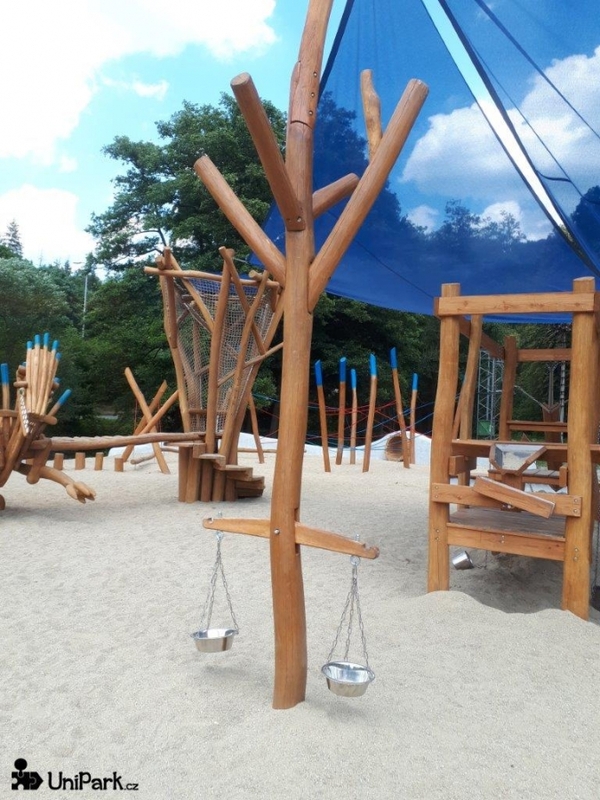 Some of them are provided with seating elements and are meant for parents to rest. The rest of them are great for climbing or racing with cars for which we have special lanes on the surface of the concrete roots. 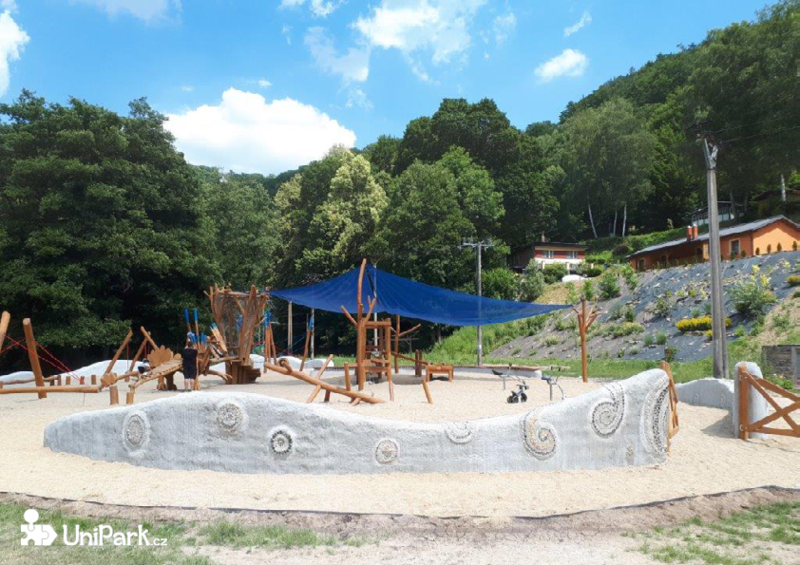 By entrance, the roots are decorated with a stone mosaic which is our design specialty. 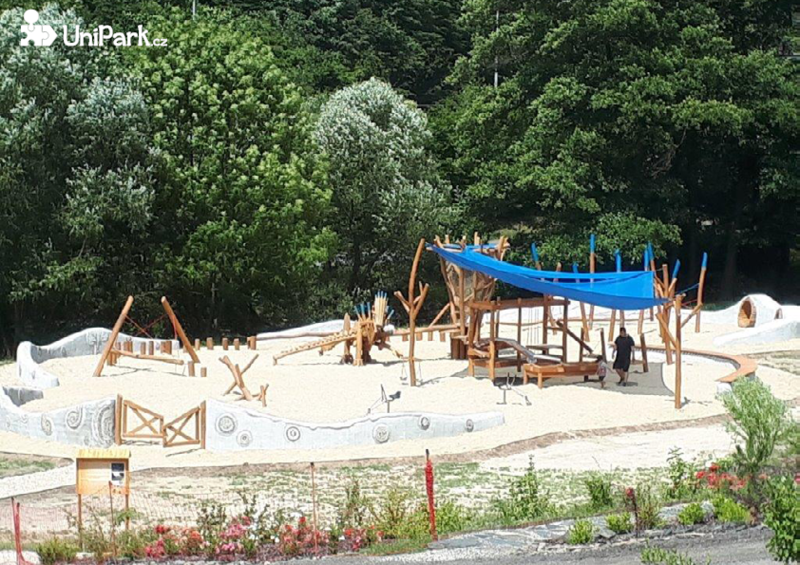 In the hot summer months, part of the playground is also protected by a shielding sail.